Originally from California, Joseph Escobar is currently finishing his senior year at RISD in industrial design as well as being co-director of 2ndLife — a non-profit, student-run, material upcycling center — and bringing the project to a storefront, including designing the retail space this past year. If that’s not impressive enough, he’s a part time sous chef to boot. 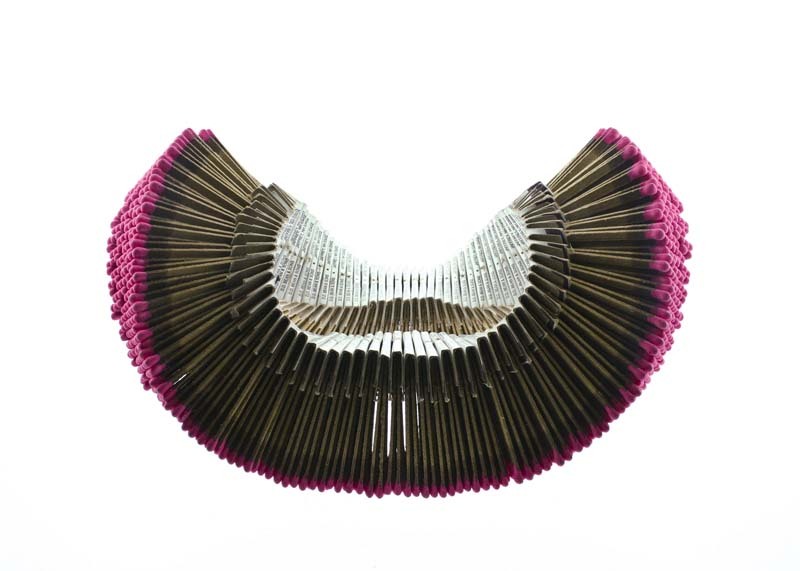 But back to his design work: Escobar’s Matchstick Necklace was at the Senior ID Show and caught our eye. 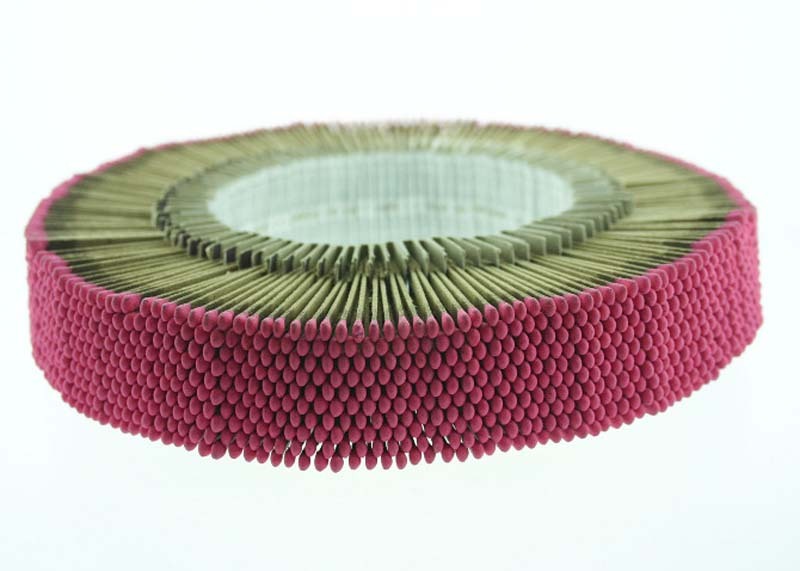 Made using 100 packs of matches, the necklace can be worn in both its unburned or burned state, yet clearly best to avoid having it on when lit. You can see more of Joseph’s great jewelry work here and follow updates on his design-sustainability projects over on his blog. This entry was posted in Fashion, Fun, Industrial Design, Stuff We Like. Bookmark the permalink.